Source: The Parish School Hymnal. Philadelphia: Board of Publication of the United Lutheran Church in America, 1926, #41. 1. Oh, what mean these songs they're singing? Oh, what mean these bells they're ringing? Tens of thousands lowly kneeling? Only gift that we can make Him! All His world in Him rejoices! 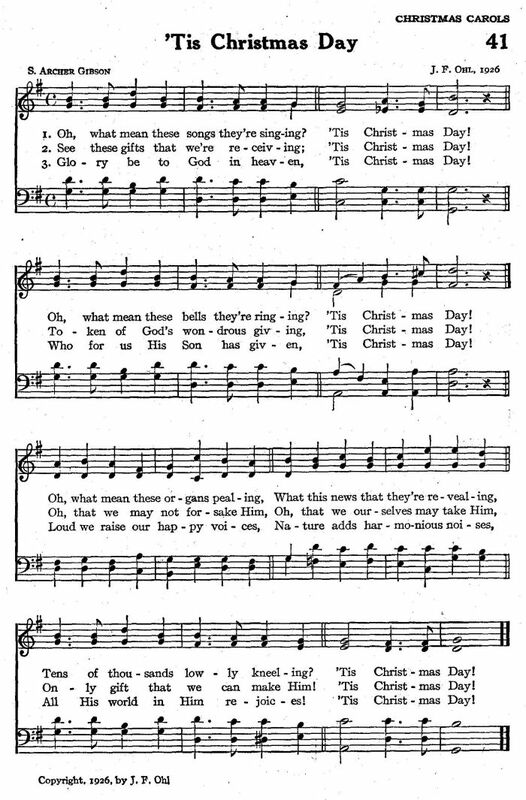 Sheet Music from The Parish School Hymnal.